Designed to protect from deportation more than 800,000 undocumented youth, who were brought to the country illegally by their parents, the program’s recipients have lived in uncertainty since the early September 2017 announcement. U.S. Rep. Henry Cuellar, D-Laredo, said he wasn’t surprised by the Supreme Court’s decision. “It is not unusual that the Supreme Court declined Trump’s request to take up DACA, given that the issue has not been reviewed by the lower courts,” Cuellar said in a statement Monday afternoon. But Cuellar maintained that despite this decision, a quick resolution to the program’s end is important for those who continue to lose protections on a daily basis. 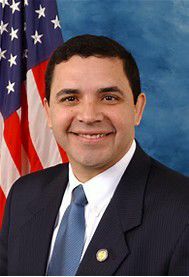 “The reality is that thousands of DACA recipients have lost work authorizations and many others continue to be at risk of losing their deferred action status in the coming months if Congress does not act quickly,” Cuellar said. In January, Cuellar made the same plea after the lower court’s first decision in California. Instead, lawmakers failed to come to a deal on DACA after the senate bill collapsed Jan. 20, resulting in a government shutdown that lasted two days. U.S. Rep. Filemon Vela, D-Brownsville, said despite the relief the decision means for some Dreamers, hopes of reaching a deal soon ended when four different immigration proposals were rejected during bipartisan talks in Washington. U.S. Rep. Vicente Gonzalez, D-McAllen, said the fact that congress has failed to come to an agreement is disappointing. Known as the “majority of the majority” rule, or the Hastert Rule, it’s the premise that House leaders would use their leverage over the floor to keep measures off the floor that might divide the majority party — in this case the Republicans on the issue of immigration and Dreamers. Gonzalez said he predicted the decision by the lower courts to stay DACA’s end in early January would give Republicans another chance to “kick the can down the road,” with respect to DACA — something he said is playing out now. Abraham Diaz, a Dreamer and education specialist with LUPE, said the decision Monday was “a small victory” for DACA. Citing two earlier lower court decisions — one in California last month and one on Feb. 13 in New York, ruling that Trump’s decision to end the program March 5 was both arbitrary and “based on a flawed legal premise” — Diaz said he was hopeful of future hearings related to the program’s end. The ruling by the California court allowed former DACA recipients who failed to renew by an Oct. 5, 2017 deadline a chance to submit renewal applications and to allow for renewals expiring in the future. The decision by the Supreme Court to not hear the case allows the lower courts’ decision to remain in place and for the renewal applications to continue to be accepted, but not allowing those who would now qualify for the program to submit new applications. Diaz said he personally knows Dreamers whose DACA enrollment was set to expire in March. He said at least for now there will be a window for renewals to be accepted. In the meantime, Diaz said he and other advocates for Dreamers need to continue pressuring lawmakers for a permanent fix to DACA.